CHICAGO – Striking out on one’s own is a rite of passage, but it would appear more adults are doing less solo living lately. 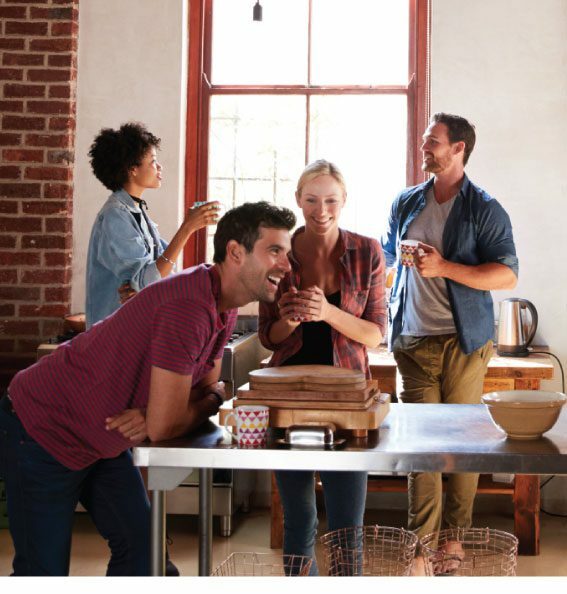 According to a recent analysis by Zillow, as rents rise, more adult renters are finding roommates to cut costs – be they strangers, friends or relatives. The numbers are higher than ever before, said the real estate company, with 30 percent of unmarried adults ages 23 to 65 living together – up from 21 percent in 2005. According to Harvard’s Joint Center for Housing Studies, millions of U.S. renters are spending more than 30 percent of their monthly income on rent. Jessica Lautz, managing director of survey research and communications for the National Association of Realtors, agrees. “We’re not seeing building where it should be to actually be able to meet the demands of potential homebuyers. As demand is strong, but building is still suppressed, it’s going to push up the cost of housing and that’s going to push people into rental units, which will push up rental prices as well,” she said. “Housing inventory is tight and the interest rates are expected to rise, so as they continue to rise, that could push out consumers who are right on the edge of being able to afford a home,” she added. And renters, if your landlord ups the price, don’t be so quick to move, Terrazas said. People who renew their leases tend to save a little bit more than those who relocate, he said. Rent increases for renewals tend to be less costly than if you were to go out in the rental market and find a new place, particularly in booming markets. Another tip from Terrazas: Look to buy a home sooner rather than later.